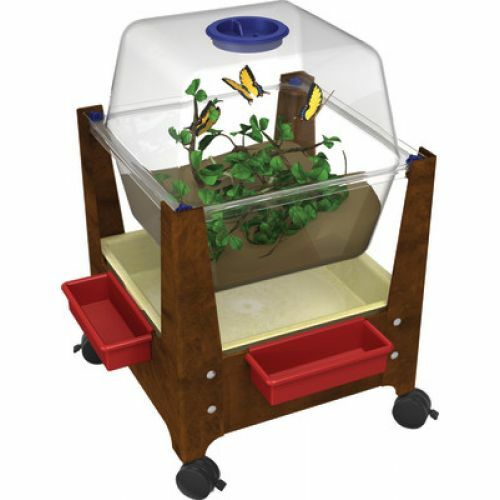 Spacious 18" x 18" x 18" enclosure for a wide variety of nature observations. 5" screw-on cap for easy access. Remove top and use bottom for sand and water play. Mega-tray and 2 clip-on caddies included. 3" locking casters. 21" x 21" x 28" high. Weight 37 lbs. Additional shipping charges apply.